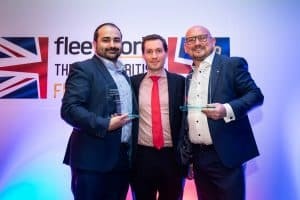 SEAT has picked up the highest honor at the inaugural Great British Fleet Event 2019, being named Fleet Manufacturer of the Year 2019. The award is recognition for the company’s significant successes in 2018, with the manufacturer having achieved its best annual true fleet sales last year. In total, the company saw 18,821 of its vehicles added to UK fleets – a 27 per cent increase from the previous year. Overall, the marque’s SUV range proved extremely popular among fleet operators up and down the country. In addition, the launch of the new compact Arona was shown to be an excellent move, with the model receiving outstanding feedback from buyers. “To win such an esteemed award is an honour,” commented SEAT UK head of fleet and business sales Peter McDonald. Formerly known as Fleet World Honours, the Great British Fleet Event is a revamped annual showcase of the best that the UK’s fleet sector has to offer. It serves to highlight and recognise the best operators and performers in the fleet industry.